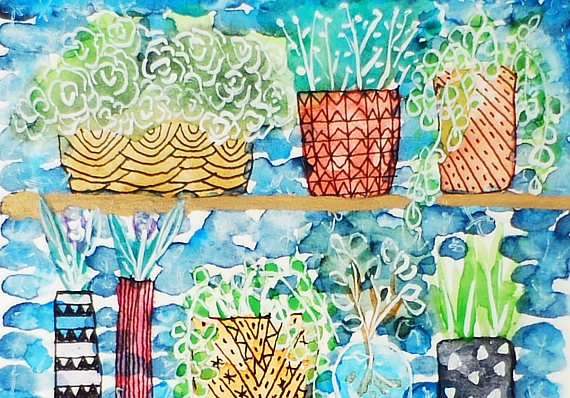 Pots and flowers collection, tiny original art. Hello everyone! Hope you all are having a great August start! Ethnic and tribal patterns, cheerful colors, the mix and match, and the bohemian felling. Here is a sneak peek of my new tiny original art, available at my shop. 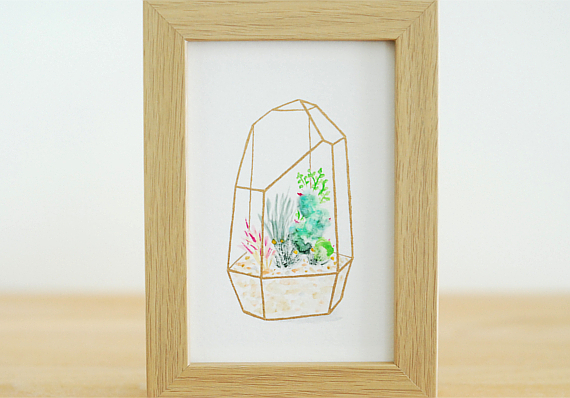 Quartz terrarium is a geometric watercolor, inspired by nature and modern faceted geometric planters. This vibrant and unique mini garden inside a quartz crystal planter, is perfect to add a bit of freshness to your home. 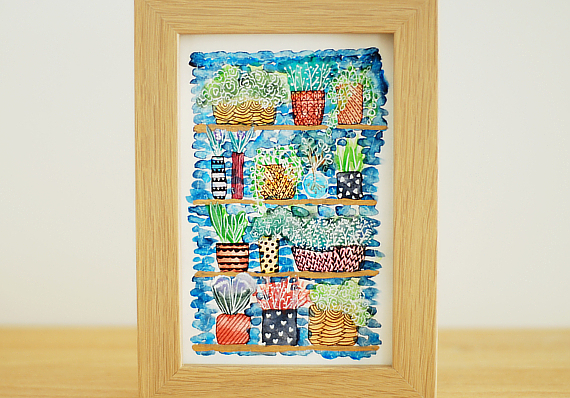 A small minimalist garden painting filled with cactus, succulents plants, wildflowers, made with love and care. This new art work, is already available at my etsy store. 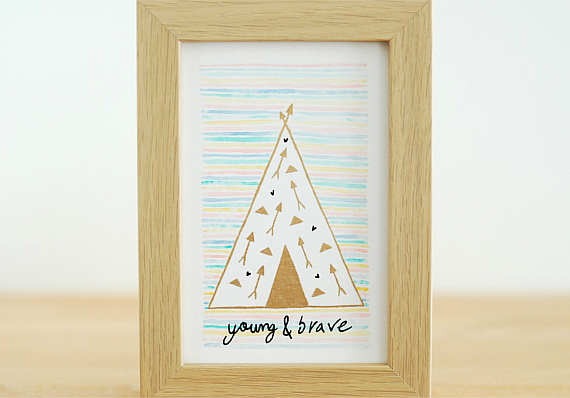 Young & Brave is a modern nursery art, inspired by tribal patterns, arrows, gold and pastel colors. Is a sweet illustration for your little explorer room. This bravery quote, inspire your kids to be adventurous and free Spirit! Let's go to the mountains is an adventure time art, inspired by nature and geometry. This golden mountains are calling for the brave ones to reach the white pic. 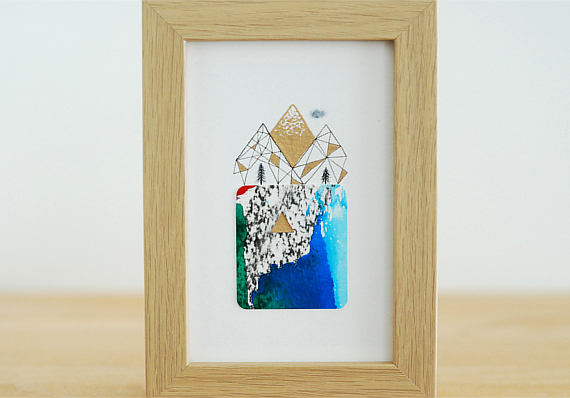 A small illustration that remind us that there's no mountains high enough. 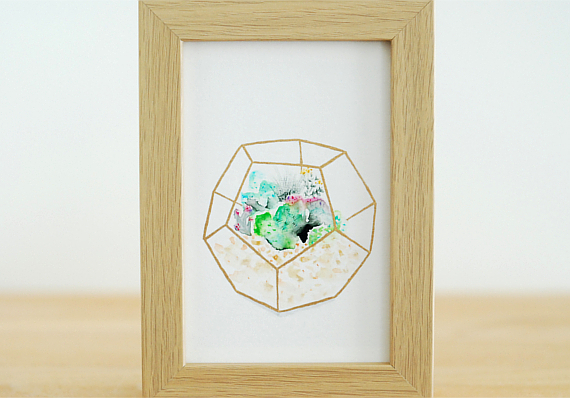 Little gold terrarium is a botanical illustration, inspired by nature and geometrical planters. This vibrant and unique mini garden inside a dodecahedron planter, is perfect to add a bit of freshness to your home. 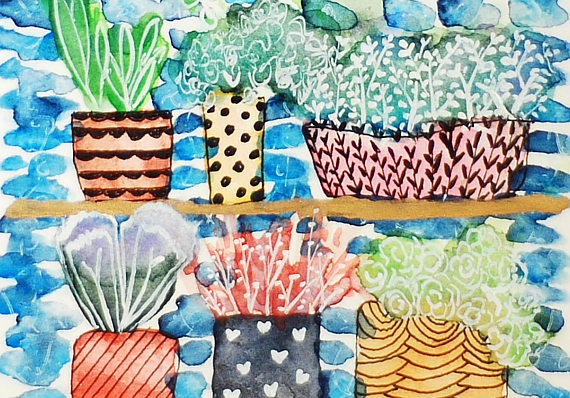 A small garden filled with cactus, succulents plants, wildflowers, made with love and care. 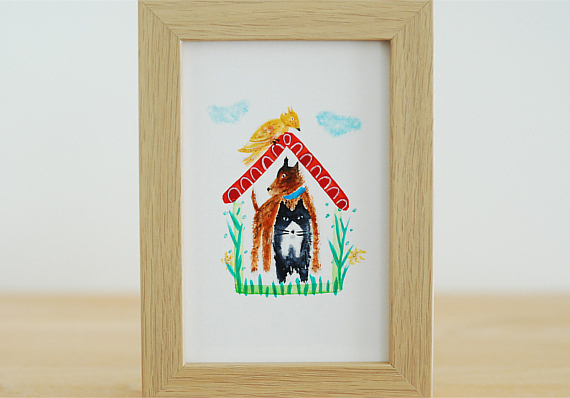 The cat, the dog and the bird is a funny tiny illustration, inspired by unusual animal friendships. The trio symbolises a happy place where the sun shines bright, the grass is ever green and the clouds are fluffy like cotton. This surprising animal friends will melt your heart, and add a vibrant splash of color to your home. 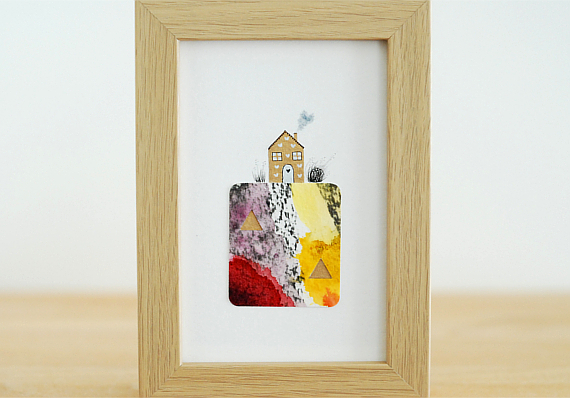 House full of love is a lovely tiny watercolor, inspired by little cottage houses. Is a place to call home, where you can smell the fresh flowers, enjoy the most beautiful sunsets, and live happily and free, is a place to love where your house becomes your story.